Mommy Moments: Big Things | To Be, To Be. Tutubi. What could be bigger than a mascot? Here are my three kids at the Robinsons Supermarket with a mascot for a cereal. Maricel Laxa was giving a talk on proper food for the kids while we were there. This other picture was taken one of Danniel's educational trip. The crocodile was huge and he fit easily inside its mouth. I think this is in Boom na Boom in Pasay. 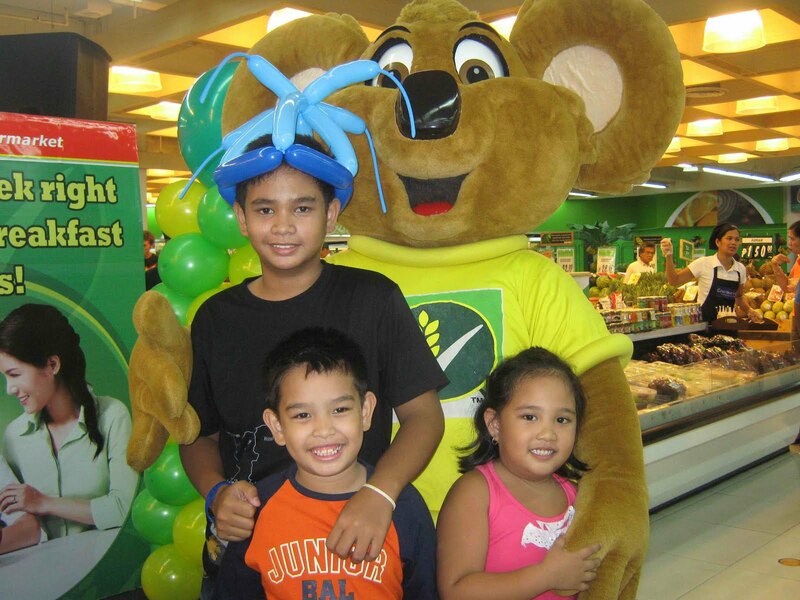 Guess that's what mascots are for - to look big and cute :) Love your kid's smile on the crocky pic. The crocodile looks so real! 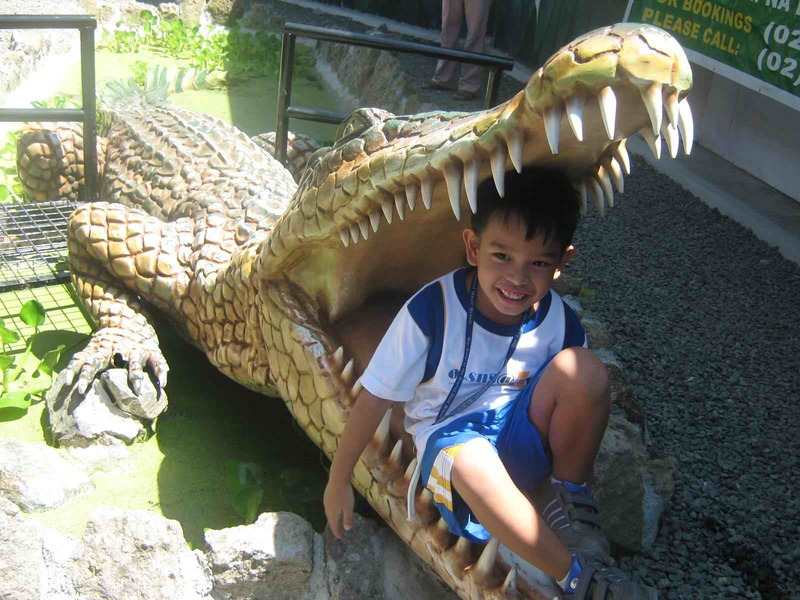 My son would be scared of the croco :D They surely look like their having fun! Happy weekend! that second picture is really COOL! Oh my gosh, I thought the croc pic with your son in it is real. Me, goosebumps. Nice and well done pictures sis. i love the last shot! !